Wood Utensils are the best utensils to use for your pots and pans as they will not scratch them. 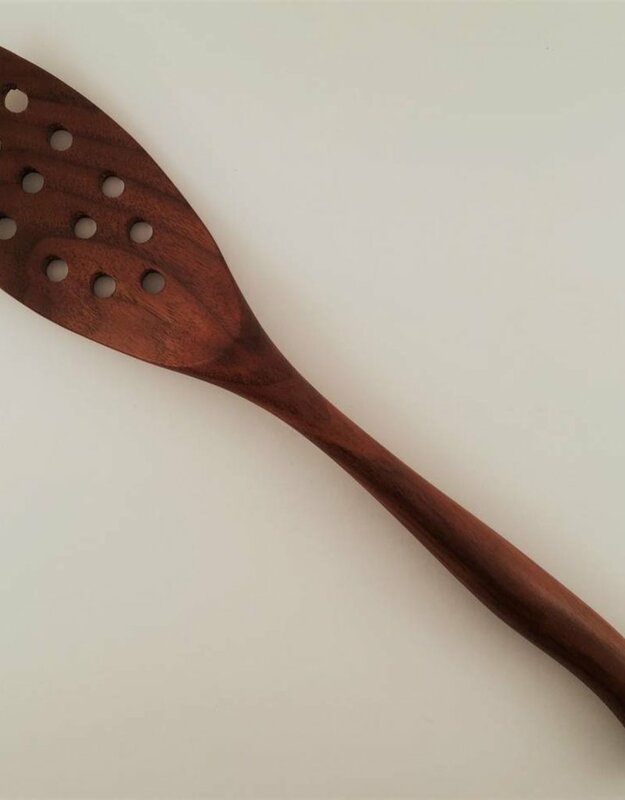 This wood utensil is perfect for making soups and pastas and works great with your wok. This spoon measures 13 1/2" long by 2 3/4" wide and is available in Cherry, Maple and Walnut. The perfect spoon to add to all kitchen utensil sets! Each utensil is individually hand crafted so measurements and wood tone will vary slightly. Hand wash, dry immediately and condition as needed. Do not put in dishwasher. Don't forget our wood conditioning cream to keep your utensils looking fabulous.